On wall TV Mounting & Installations of small and large LED, OLED, LCD, Plasma, and flat-screen televisions are our specialty. 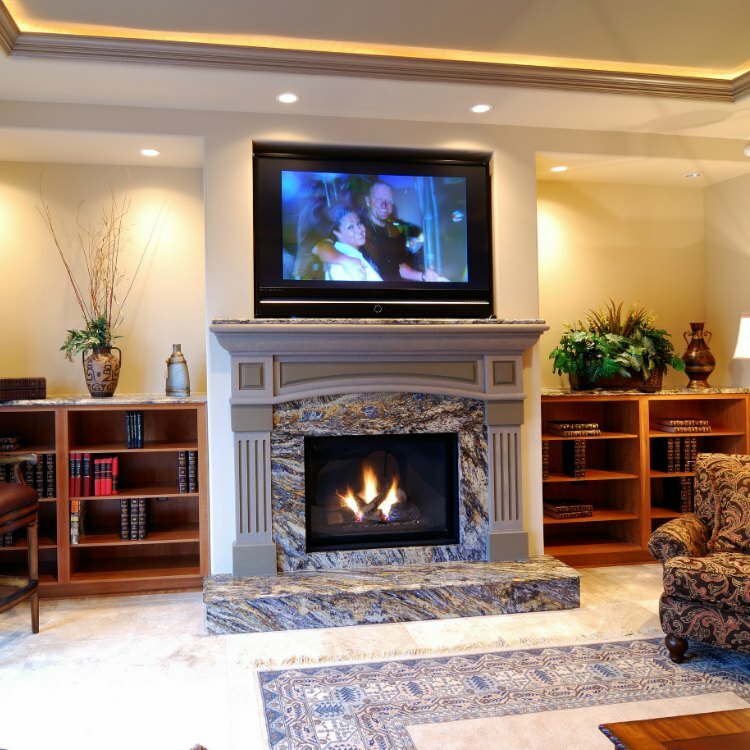 We can safely mount your big TV to any surface of your choosing, and we specialize in above Fireplace tv installs. 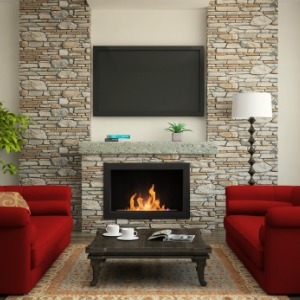 Brick, Concrete, Drywall, Metal, and Plaster are no match for our TV mounting professionals. We utilize the latest tools, high-tech devices and training to ensure every TV install that our installers complete is done perfectly. We guarantee our work with a 3-year warranty. We are a licensed & insured TV Installation & Mounting company that proudly serves Tampa, Florida. At Suncoast Installs, we specialize in Tabletop TV installation & setup. Today’s high-tech LED and OLED TV installations entail time-consuming and often confusing setup menus. Leave what would frustrate any sane person to us, we LOVE Tabletop TV installations and setups. 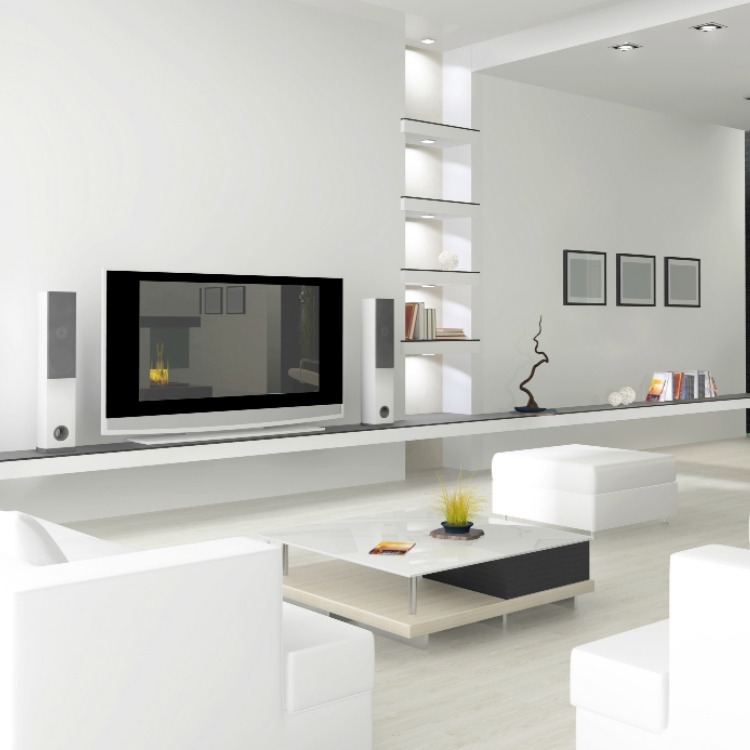 We can even connect and setup add-ons like; cable boxes and streaming boxes, Blu-ray, sound bars, and wireless speakers. Proudly offering TV installation, TV Mounting, Television setup, and Art Hanging services in the following Counties; Hernando, Hillsborough, Pasco, and Pinellas. We are Custom TV Mounting Experts that can safely mount any size Flat TV on the wall or in the wall. Large LCD, LED, and Plasma TVs are our favorite installation project to work on. We can often accommodate Same Day TV Installations. Oh yeah, we LOVE Table Top TV installations and Picture Hanging just as much! We are proud to be Family-owned and to serve our community, family and friends for over 19-years. At Suncoast Installs It’s Our People That Make The Difference! If It Hangs From Your Ceilings or Walls, Just Call Suncoast Installs and We Will Hook You Up! At Suncoast Installs, we offer courteous and fast installation services. We arrive on-time and do what we promise. You won’t need to interrupt your day, wasting time waiting on your install. We offer after hours and weekend installation times to cater to your needs. We are a family owned and operated TV Installation and Mounting business. Our technicians are professional, reliable, experienced, and background checked so you can feel care free having our installers working in your home or business. Your service technician will apply the same attention to detail and quality workmanship to every job, large or small. We always clean up the work area and remove installation debris. Just let us know if you have any special request and we will take care of the rest. Recent TV Installation provided by Suncoast Installs of Tampa, Florida. This tv mounting project features a wall-mounted OLED TV hung over a beautiful fireplace in the living room.